The Fang LT is a super compact and lightweight crossbow that shoots up to 330 FPS, delivering high performance! 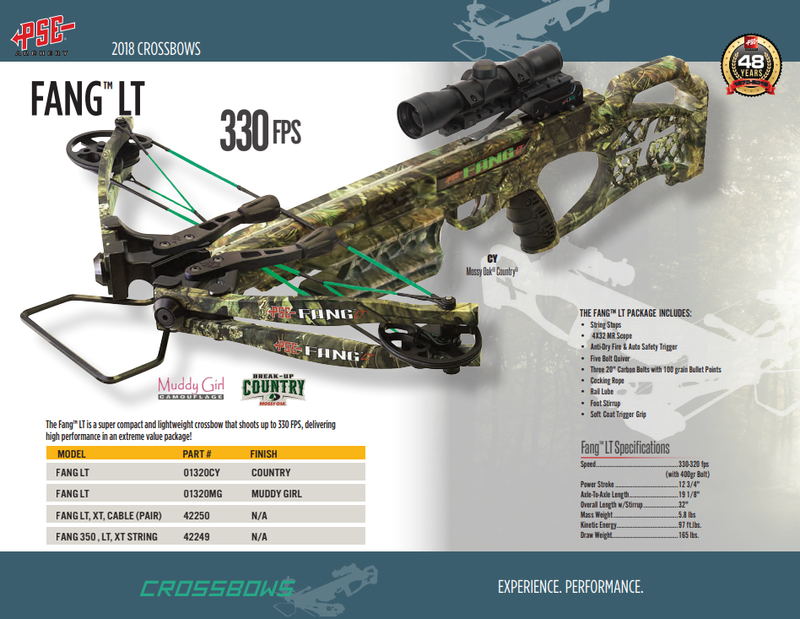 The PSE LT Crossbow Package is perfect for the woods because of its lightness, fastness and easy to maneuver. The 4 x 32 MR Scope lets you shoot with pinpoint accuracy. Rubber-coated foot stirrup for easy cocking and soft coat trigger grip for a great feel. Looking for ideal Auto Safety Trigger Manufacturer & supplier ? We have a wide selection at great prices to help you get creative. All the 4x32 MR Scope are quality guaranteed. We are China Origin Factory of Five Bolt Quiver. If you have any question, please feel free to contact us.